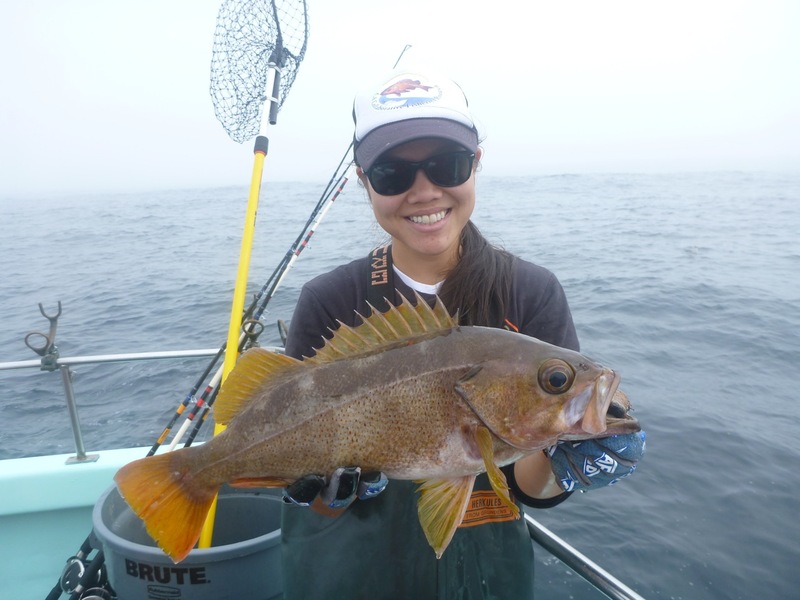 Jen Chiu is a Master’s student under Dr. Rick Starr in the Fisheries and Conservation Biology Lab. She graduated from the University of California, Santa Barbara with a B.S. in Ecology and Evolution and a minor in Asian American Studies. During her time at UCSB, she assisted with research focusing on the non-consumptive effects of predators on prey in the intertidal zone, coupled with the effects of climate change and habitat complexity. Prior to beginning her graduate work at MLML, she assisted with fisheries ecology research in the Gulf of Mexico, as well as studied the distribution and biomass of benthic invertebrates in the San Francisco Bay. 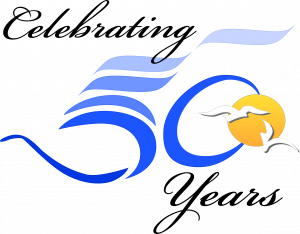 In addition to her conducting her thesis work, Jen has been a part of the California Collaborative Fisheries Research Program (CCFRP) throughout her entire time at MLML. She currently serves as the Lead Field Scientist for MLML and the Statewide Coordinator for the program, where she is responsible for managing the MPA monitoring efforts of all academic partners across the state. She plans to continue her involvement with CCFRP after her defense. Studies of fish diets can be used to improve the understanding of feeding habits, trophic distributions, and the predatory role of a species in an ecosystem. Identifying the spatial and temporal variability in the diets of fishes can provide useful information for stock assessments and fisheries management. Yellowtail Rockfish (Sebastes flavidus) are an important part of the U.S. west-coast commercial groundfish fishery, and abundant along the central California coast. The most recent studies of Yellowtail Rockfish diets occurred over 20 years ago and originated primarily from studies in Oregon and Washington. 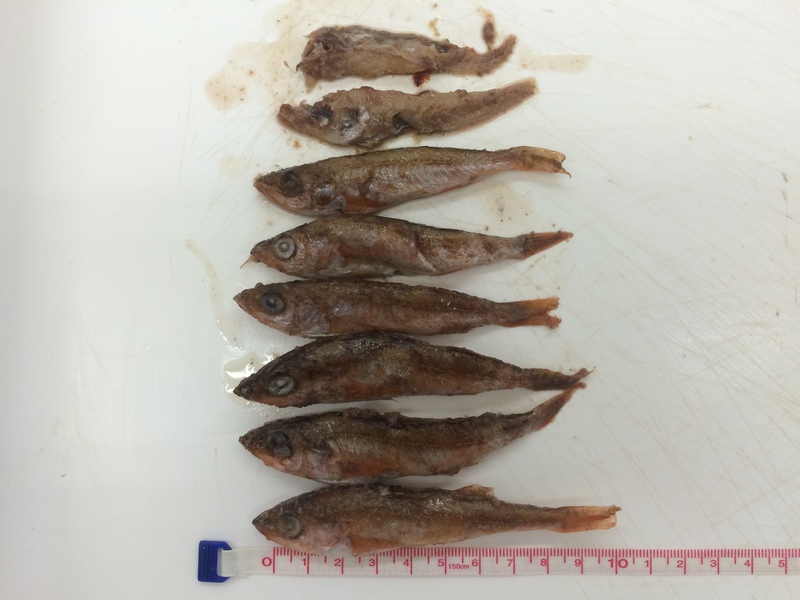 To provide more current information on trophic ecology from California, I examined the food habits of Yellowtail Rockfish collected near Cordell Bank, the Farallon Islands, and Half Moon Bay in 2013 and 2014 using gut content and stable isotope analyses. 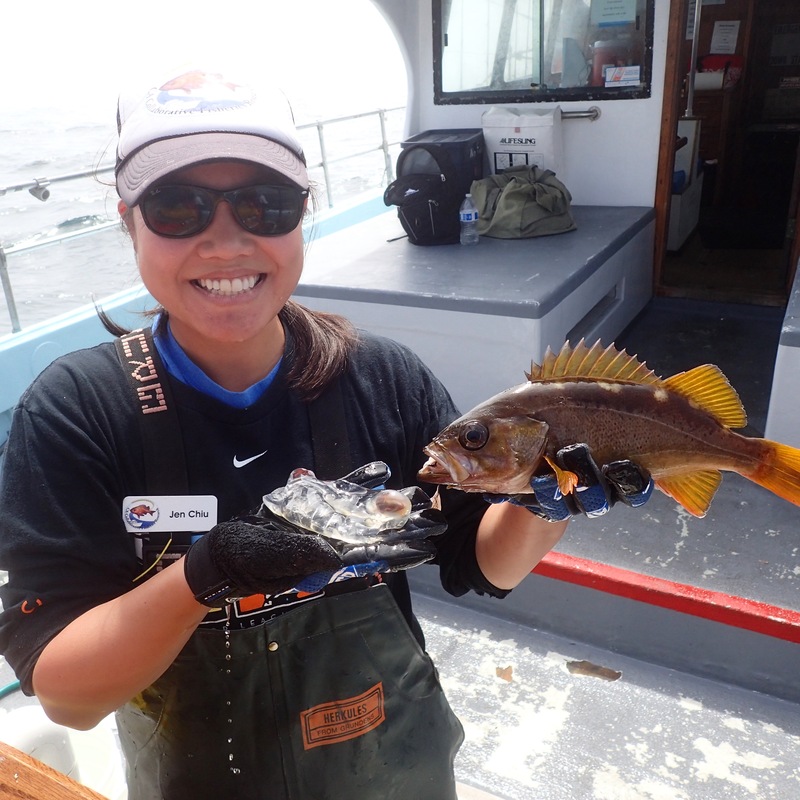 Yellowtail Rockfish analyzed in this study were semi-pelagic predators, feeding primarily on tunicates, crustaceans, and teleosts. Based on δ15N values, fish caught in 2013, on average, were feeding at lower trophic levels than those caught in 2014. δ13C values indicated that fish caught at the northern-most sites were feeding on more pelagic-influenced carbon sources, while those caught at the southern-most sites were feeding on more benthic-influenced carbon sources. Yellowtail Rockfish in central California can be described as opportunistic feeders because predation patterns were temporally localized, and diets consisted mostly of transitory prey sources. The Yellowtail Rockfish diet information presented in this study fills data gaps of a key life history component, and will be useful for future stock assessments.